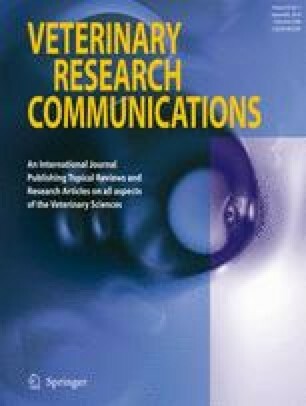 Routine use of the antibiotic flavomycin in broiler production may lead to resistance, and alternative growth promoters are used to enhance performance. Two hundred day-old male Ross 308 broiler chicks were allocated to five dietary supplements included from d 1–42: flavomycin, three possible alternatives, a probiotic, prebiotic and a synbiotic, as well as a control treatment. There were four replicate cages of 10 birds each in each treatment. Compared with the control and antibiotics treatments, the probiotic, prebiotic and synbiotic treatments increased (p = 0.001) weight gain (64, 66, 73, 70 and 74 g/d, respectively). The synbiotic treatment reduced (p = 0.004) the feed conversion ratio, compared with the control and antibiotic treatments (1.70, 1.84, 1.83, respectively). Compared with the control and antibiotic treatments, the birds fed the synbiotic treatment had greater relative gizzard (+47%) and spleen weights (+115%), and lighter kidneys (−47%). The birds fed the symbiotic treatment also had thinner walls of the caudal gut segments. The prebiotic had the most beneficial effect on cecal microbiota, stimulating aerobic and lactic acid producing bacteria and reducing Escherichia coli bacteria. Enterococci were increased in the antibiotic treatment. We conclude that there were significant performance and health benefits of using prebiotics, probiotics and synbiotics for broilers, rather than antibiotics. Financial support by Rasht Branch, Islamic Azad University, grant number 45830, is gratefully acknowledged.